Arianna has had a rough couple of weeks battling a cold and a nasty ear infection. But luckily she's feeling better - and looking much brighter too with the help of FabKids! This month they released the Jungle Boogie collection which is inspired by bold jungle theme prints, and is wildly cute! Arianna is wearing the Sporty Stripes Outfit that she picked. She said she loved the combination of sequins and stripes, while I loved the feel of the materials. 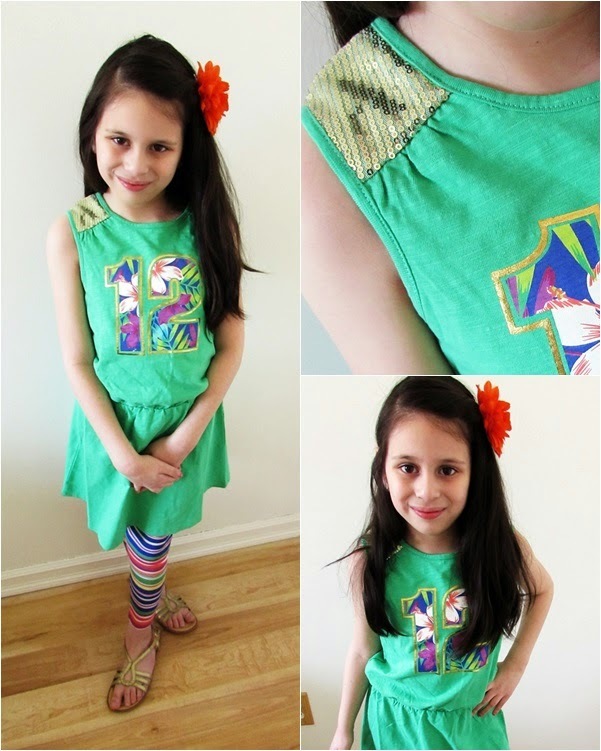 The dress and leggings are super soft and lightweight, and will be perfect for summers in the concrete jungle. If you haven't checked out Fabkids, I don't know what you're waiting for! It's only $29.95 for a monthly subscription and their styles never disappoint! What a cutie! Love the dress.